Here is a fun deal the kiddos will enjoy! 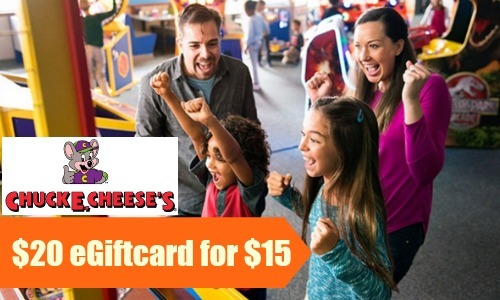 Groupon is offering a $20 Chuck E. Cheese eGift Card for $15. This is a fun savings that can be paired with additional coupons on their website. Grab pizza, drinks, and tokens for a great price with this deal. Offer valid at participating stores through 1/12/17.